When it comes to choosing flooring for your home or office in Singapore, you have a wide range of options to consider. You can find different types of floors made of different material and with different shapes, style, design, colour and so on. To get the right one for your needs, you need to evaluate a few things before making your decision. Engineered wood flooring and carpet flooring are some of the most popular options but each has its pros and cons. 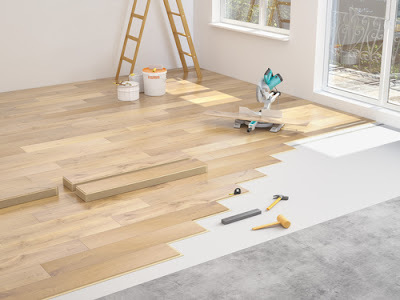 One of the most common flooring types, the engineered floor comprises of multiple layers of wood that are glued together with adhesive under high heat& pressure. The top layer is usually veneer and the other layers are plywood which are collectively called the core board. Like regular wood flooring, engineered wood is typically treated with varnish to both protect & beautify it. This type of flooring is available on the market in a range of types and thicknesses, from 3 to 12 plies & 1.5mm to 10mm in terms of thickness. But what makes it very durable is the fact that the top layer (veneer strip) is attached to the much stronger under plies. Engineered wood floor is in fact more durable than most flooring options. Because of its unique construction process, this flooring is not susceptible to effects of humidity or moisture. As such, it does not easily warp or cup, making it an excellent choice for use in the bathroom, kitchen and other areas often exposed to high moisture. It’s for the same reason that it's said to be strong and durable. Engineered wood flooring can be glued, stapled or floated, according to the product you select. Floating floors are typically easy to install and can be installed over another existing floor. One of the major drawbacks of this flooring option is that the veneer layer can be very thin, making it susceptible to damage and you may find yourself needing to replace the flooring sooner rather than later. Since the initial layer of engineered wood floor is very thin, you can only sand or refinish it a few times. Screening it (or light sanding) can help deal with topical scratches. Engineered flooring may cost a lot more per square foot than carpeting flooring and some other flooring types. If cost is a major factor of concern, it can be best to consider other options first. A carpet floor is flooring that’s felted or woven from either natural or artificial fibres. It can be fitted to the floor structure in which case it extends from wall to wall and is immobile (can’t be moved to another room or area). The flooring can be made from acrylic, polyester and wool among other materials. Carpets are known to provide excellent insulation. They can help maintain the temperature in your room or office, therefore making it comfortable for you. This can also help cut down on your power bills. Another benefit of this type of flooring is that it can help to insulate against unnecessary sound. It tends to absorb the sound from electronics and keeps it isolated into particular rooms. Carpets also help minimize the echo effect. When you choose the right carpeting for your home, it will bring a whole lot of difference. The flooring adds life to any room and gives each room a unique look. The thickness, colour and design of carpet can make a big statement in all rooms! Unlike engineered wood flooring and some other flooring types, carpets require more regular and higher level of maintenance. 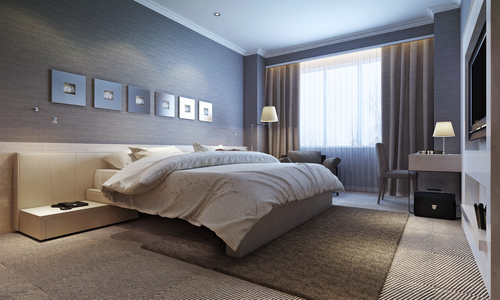 Any lapse in properly maintaining them can make a room look dirty and unsightly rather than warm and inviting. One of the biggest drawbacks of carpeting is that it can have negative health effects especially for people who have respiratory challenges. The floor can hold allergens like dust and even harmful micro-organisms which can cause a lot of problems for individuals with asthma or other respiratory ailments. Infants with very sensitive respiratory systems may also have breathing problems. Carpet flooring can absorb stains and spills, which can be really hard to eliminate. Moreover, it can get damaged if soaked. This is why carpets are not recommended for use in moist environments.